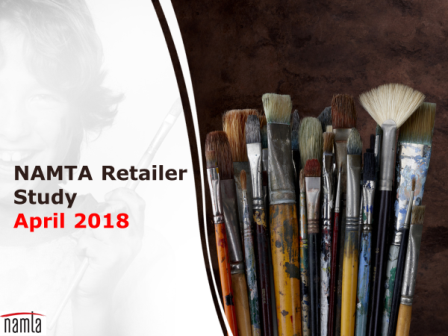 The results of NAMTA’s 2018 Retailer Study, the second piece of the association’s tri-annual Artist and Art Materials Survey, has been released and is now downloadable here. The 36-page report is free to NAMTA members. Conducted by The Olinger Group of New Orleans, the study is the fourth report of art materials retailer research (previously studies were done in 2009, 2012, 2015) designed to identify and monitor current and future trends in the art industry. Both US (153) and Canadian (15) art materials retailers participated in the study, which was conducted between February 15 and March 9 of this year. Art supplies, craft supplies, and framing supplies & services remain the major sources of revenue for retailers. A large majority of participating retailers were relatively small with 1 or 2 locations and 6 or fewer employees. The trend toward using online resources, including social media, continues with continued mixed results concerning the effectiveness of the marketing efforts. Retailers are most likely to use social media to announce new products, sales & promotions, and events, classes & workshops. Retailers continue to want suppliers to provide more samples and more product support information. The factors that retailers see as their greatest strengths are a friendly and knowledgeable staff and offering a wide selection of art supplies. A little over half of retailers’ budget for marketing expenses, and the percentage budgeted is most frequently 5% or less. Online competition is by far the most frequently mentioned obstacle that retailers perceive to be keeping them from doing as well as they would like. After a 2014 spike, sales levels in 2017 returned to levels similar to those found pre-2014. Over the past 3 years, about half of retailers’ report increased sales, however, the percentage reporting relatively large increases in 2017 was high. Drawing materials, pads, paper & journals, and brushes were the three top selling art supply items in 2017. Well over half of retailers reported that sales of drawing materials increased in 2017. More than 7,000 artists participated in NAMTA’s 2018 Artist & Art Materials Survey, which was released a couple of months ago. That survey, too, is free to members and downloadable here. Milan - Fabbrica Italiana Lapis ed Affini S.p.A. (F.I.L.A) announced Monday that it has entered into an agreement providing for the acquisition by its subsidiary Dixon Ticonderoga Company of 100% of the shares of Pacon Holding Company (“Pacon”) for $ 340 million. 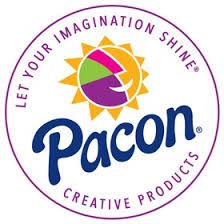 Pacon, founded in 1951, is one of the main players in the U.S. market for products in the schools and art & craft sectors, based in Appleton, Wisconsin. Its product range, which includes over 8,500 items, is manufactured in 8 production facilities located in the United States (3 facilities in Appleton and 3 facilities in Neenah, Wisconsin), in the United Kingdom (1 facility in the West Midlands) and in Canada (1 facility in Barrie, Ontario). Based on management estimates, the transaction will generate significant cost synergies, and will lead the F.I.L.A. group to more than doubling its consolidated sales in the United States. Upon completion of the acquisition, the enlarged F.I.L.A. group will have 29 production facilities in 5 continents with more than 9,000 employees. F.I.L.A.’s activities in the United States following completion of the Pacon acquisition are expected to be led by James Schmitz, Pacon’s current CEO with a long-standing experience in the schools and art & craft sectors. MacPherson’s has announced David J. Schofield as the new CEO and President of MacPherson’s. 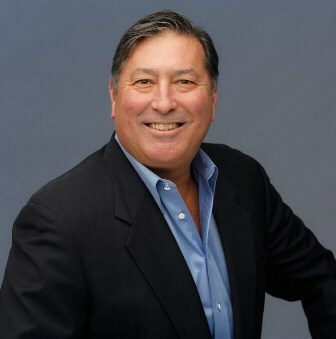 Jim Semitekol, Acting COO at MacPherson’s said in a recent email, "Dave joins us with a rich background of leadership experience from a wide range of domestic and international customer service-centric industries. Among his many capabilities, he has a proven track record of forging powerful relationships with customers and ensuring they receive the highest-levels of support possible. We are tremendously excited for him to take the reins and look forward to introducing you to him soon." 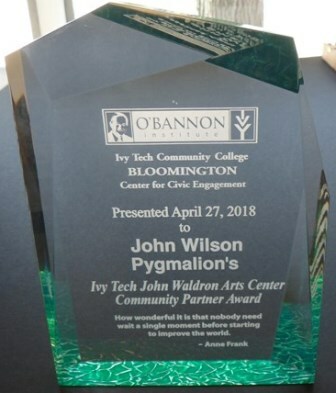 Congratulations to Pygmalion’s Art Supplies, located in Bloomington, Indiana, for recently being recognized with the O’Bannon Institute for Community Service Civic Engagement Award. Pygmalion’s gives support to the Ivy Tech John Waldron Arts Center Ivy Arts for Kids program, the Indiana University Visiting Artists Program, and many more local organization including Boys and Girls Club and Habitat for Humanity. Owner, John Wilson, credits their customers who support the local business and make it possible for Pygmalion’s to give something back to their community. 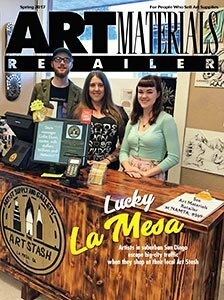 In the 2018 Artist & Art Materials Survey, artists were asked "How would you like to hear from your favorite art supply stores and brands?" In the 2018 Study, in the Tables and Trending Report, email is by far the preferred means of hearing from art supply stores and brands. 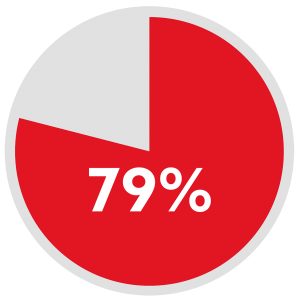 79% of student artists, 78% of professional artists, and 82% of hobbyists chose email. 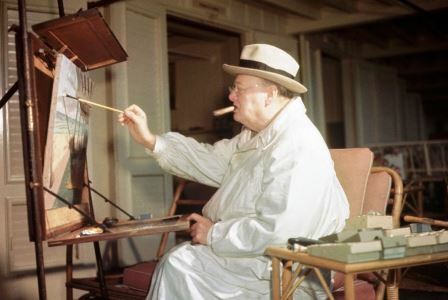 The hobby (painting) became, for the great British statesman, a source of delight and a respite from the stress of his career. He would eventually create over 550 paintings, crediting the practice with helping him to hone his visual acuity, powers of observation, and memory. The pastime would flourish, and perhaps even aid him, as he furthered his career as a world-renowned writer, orator, and political leader. NAMTA Art Advocacy Grants will be given for programs that promote and foster the visual and creative arts in Public Art, Art Education, The Military, and Health and Healing. Get the details here. Let your customers know about this grant. Print this flyer and leave it at your checkout in your store. Or, attach this link https://namta.memberclicks.net/art-advocacy-grant-application to your newsletters and social media. You can sponsor the Art Advocacy Grant Program Your contributions will be greatly appreciated by the grant recipients. Click here if you are interested, or call Sue Cohen at NAMTA, 704.892.6244. 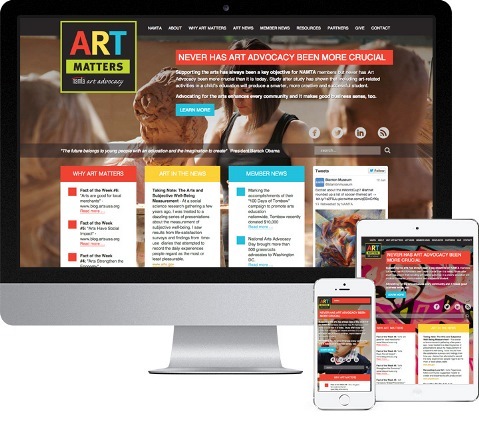 Art Advocacy NEWS was sent out by email last Friday. In case you missed it, you can read it here. Murals offer accessibility to art and creative expression without the cost and class-based barriers associated with museums and galleries as well as architectural integration into the physical environment. Position Description: Receiving and Shipping Manager Handle all incoming freight, scan and receive into the system, make reports on damages, overages and shortages. Responsible for shipping orders out to customers. Must be familiar with art materials. This is a full time 9-5, Monday through Friday job. The 2018 NAMTA Artist & Art Materials Study was based on an online survey of 7,090 professional artists, student artists, and art hobbyists. The 2018 Artists & Art Materials Study is packaged in 3 reports - Tables and Trending, the Artists & Art Materials Survey Report, and Artists & Art Materials Survey Comments. All three reports are FREE to download for NAMTA members. A good resource for NAMTA Members searching for a new hire is the JOBS AVAILABLE page on NAMTA.org. Members can fill out this form and we'll put your position on the list - FREE. The JOBS AVAILABLE link to this list is on the HOME page of NAMTA.org and open to all visitors to the site. 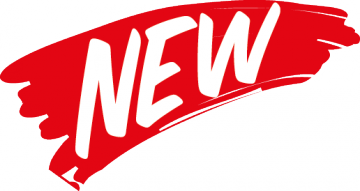 We'll also announce your job listing in NAMTA eNEWS. 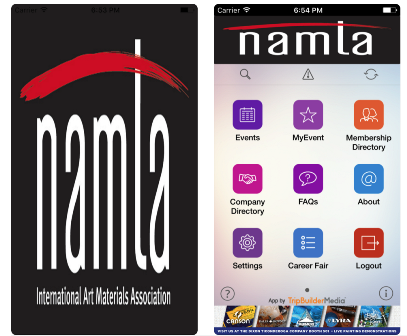 The NAMTA App is not just for Art Materials World anymore. It's 365 days a year and brings you much of the same information you can find on NAMTA.org. Go to the App Store and download NAMTA. 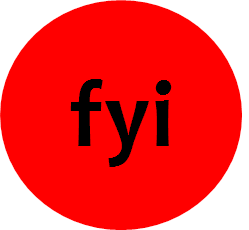 Contact Karen with membership directory updates. 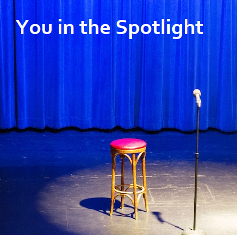 Take a look at this form and see if you'd like to answer the questions to be a Spotlighted Member in an upcoming issue of eNEWS. This is a great way to let other NAMTA members know a little about you, your company and products.